One of the things I've been wanting to do for a while is create a package for BRAND NEW businesses. I know when you're opening a new business there is a great deal of things to think about. From setting up your accounting, filing the correct business licenses, securing a store-front, to advertising, the list is endless. 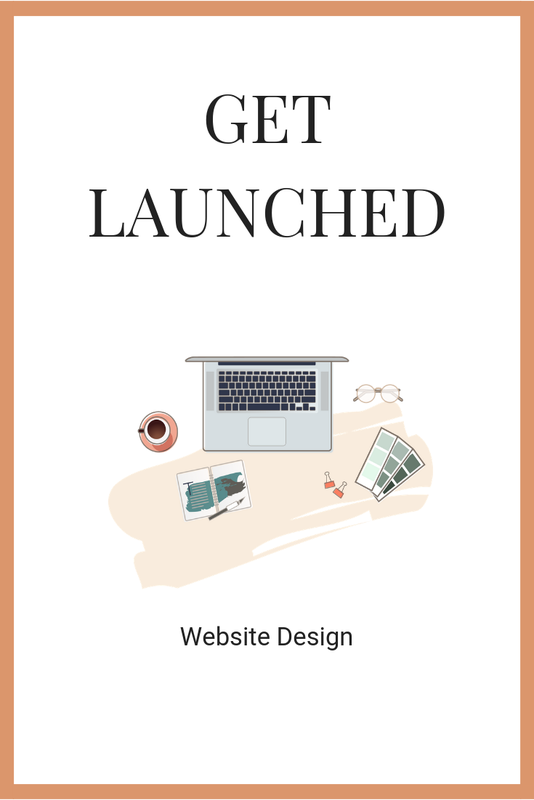 With my GET LAUNCHED website package, you can cross one BIG thing off of your long to-do list. You need an awesome, SEO ready, mobile-friendly Squarespace site STAT. You need people to be able to find your business on the internet. You don't have the time or skills to build your own site. You want a gorgeous website with a great foundation to build on later. My GET LAUNCHED package is perfect for those needing to save time and money, but not compromise on quality. Click here to see the details of what all is included.